Groff Orthopaedics and Sports Medicine offers the latest procedures for treating orthopaedic problems. 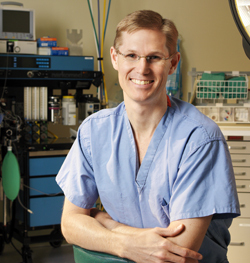 Dr. Groff specializes in performing arthroscopic procedures and minimally invasive reconstructive surgeries. He is known throughout Western Pennsylvania as a premier provider of knee and shoulder care for active adults. Minimally invasive procedures are available for most of our patients. Computer-assisted procedures are often available, as well. At Groff Orthopaedics, our treatments are proven, not experimental, and offer you the most advanced options available.